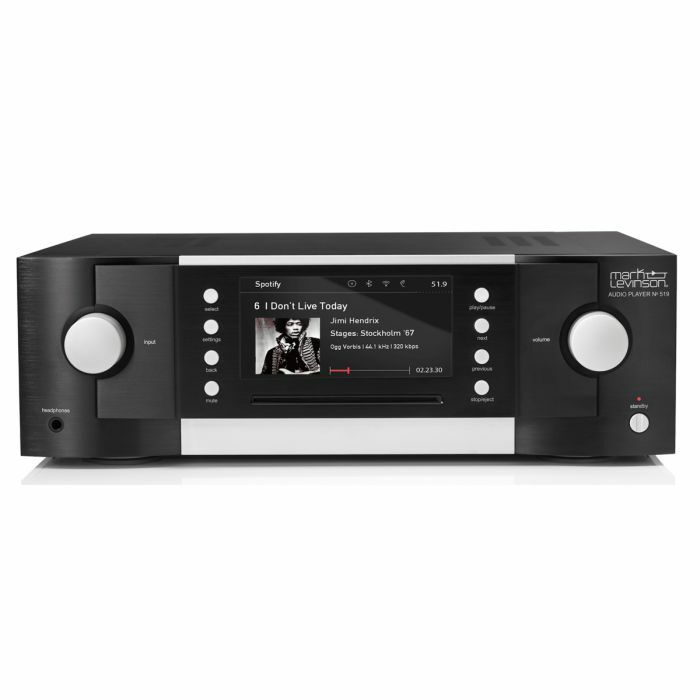 The Mark Levinson Model 519 is the most feature filled Mark Levinson piece we have ever seen. Back in the early 1970s, Mark Levinson was working in recording studios in the New York City area. At the time, he was designing mixing consoles, and legend has it that one of his designs was the sound mixer of choice at the Woodstock Music Festival. In 1972, he released his first product, the LNP-1, and followed up the next year with the LNP-2, an absolutely beautiful preamp with VU meters and a separate power supply. He continued to set new standards for the audio world with several preamps and power amps. In 1984, Madrigal Audio Labs became the new owners of Mark Levinson and continued the tradition of sparing no expense for pure sound while wrapping the components in a design that was timeless. As a matter of fact, many of the Mark Levinson products from the 1980s and 1990s, if you can find one, command more than their original price. Harman International acquired Madrigal in 1990 and gave them the backing of a large company to not have to compromise on their standards. During the 1990s, some of the most groundbreaking gear ever came out of Mark Levinson. Our review today focuses on the new Mark Levinson Model 519 player. When we first looked at this piece of gear we did not fully understand everything it could do, but once we figured it out, boy, is it something really special! On the outset, it just appears to be a fancy CD player, but it is far more than that. The 519 can be the heart of a modern audio system, and if you are into headphones, it can be all you need. 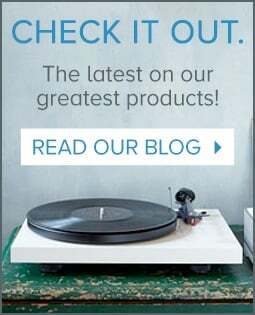 Ever since their beginning in the 1970s, Mark Levinson gear has had some of what we feel is the best looking and most fun to use products on the market. Their designs have always been a classic black with brushed silver accents and controls, and that continues with the 519. While much audio gear is a pretty basic black box, Mark Levinson gear exudes class, almost appearing as a sculptured piece of metal work. A beautiful 5” display sits in the center, flanked by buttons on either side, with the classic Mark Levinson knobs for volume and source selection are located on the outsides. You really have to see this piece in person to appreciate how well made everything is with just a best in class fit and finish. It is truly a great example of American boutique manufacturing with nothing spared to create a wonderful product. The 519 also totally fits the description of “built like a tank”. How many CD players have you seen that weigh in at 36 pounds? The Model 519 is able to handle everything digital you can throw at it. From its slot loading CD player, to its full Bluetooth capability, you get several digital inputs, streaming of the popular music services, USB connections for computer music or attached drives, and streaming via ethernet from a NAS drive. Not only is it a full digital audio player, but it can also serve as a preamp in an all digital system. Let’s take a deeper look at what makes the Model 519 so special. The Mark Levinson Model 519 is probably the most feature filled Mark Levinson piece we have ever seen. You can control it from its beautiful interface on the front panel, the included handheld remote, or use the super rich control app available for both Android or iOS. We really like the layout of the app and found it quite easy to use. Input wise, you’ll have a balanced digital input, two coax digital inputs, two toslink digital inputs, a USB input for computer audio, ethernet for streaming from a network drive, and two USB inputs for either an attached drive or USB stick. You also have the ability to use Bluetooth to send music from your smartphone to the Mark Levinson Model 519. In addition, you have Spotify Connect, Tidal, Qobuz, Deezer, Rhapsody/Napster all built in along with internet radio. On the output side, you have 3 digital outs should you need to get a digital signal to another system. These are balanced, coax, and toslink. There are two pair of audio outs, one balanced, and one single ended (RCA). In the set up menu you can tell these outputs to be fixed or variable, making the 519 either a CD Player/DAC/Streamer and connecting it to your preamp, or using as a full preamp with variable outs. 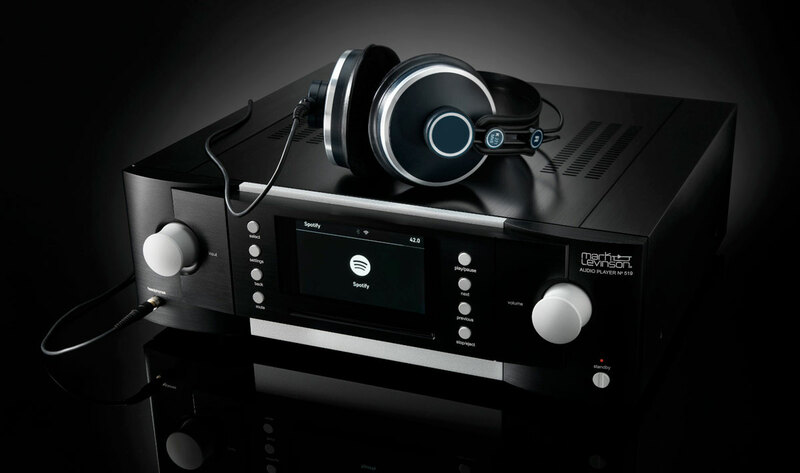 If you own a great pair of headphones, you will love the special headphone amp built into the Mark Levinson Model 519. 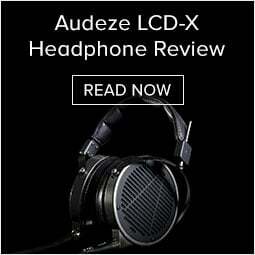 For headphones 32 ohms or less, it operates in pure Class A mode, giving you an incredibly clean sound. While the 32bit Sabre DAC supports virtually every file type available today, Mark Levinson has future proofed things by putting what is basically a mini computer inside the 519. With its multi core 32 bit processor and 4GB each of RAM and flash, updates to new technologies will be simple for Mark Levinson to push out. As a matter of fact, one of them occurred while we were doing our testing of the Model 519. Roon has become very popular among music lovers with large music libraries as the best possible way to manage a big library. If a product is Roon Ready, it means the Roon operating system resides inside the unit so the Roon app can talk directly the the piece of gear, controlling not only what it is playing but volume. You can also group various brands of Roon Ready gear into a single music zone, which is really cool. Well, as we were writing this, Mark Levinson announced they were pushing out an update to make the Model 519 Roon Ready. That is pretty darn cool! Another side benefit to having all of this processing power on board is Clari-Fi Music Restoration Technology. This system looks at incoming compressed audio signals like Spotify or Bluetooth. It looks at the signal and tries to figure out what parts of the music were left off due to compression. With the 519, you can turn this process on or off and even adjust the amount of correction it applies to the signal. And we have to say, it does make a difference on things like Spotify. As you can see, the Mark Levinson Model 519 has wealth of features, but we should stress that the Model 519 is all about the best possible audio quality. No expense was spared from a parts standpoint to allow the 519 to be as close to the recording as possible. The Mark Levinson team calls this their Pure Path circuit design. All inputs use a fully balanced circuit topology. We also love the fact that the 519 is a dual mono design, which means it is basically two complete products in one box with neither channel sharing anything with the other. Another hallmark of Mark Levinson design is their folded cascode technology. Originally developed to lower the noise floor in early tube radios, the Mark Levinson team has updated this with the use of two different types of solid state transistors, JFETs and BJT’s. This combination used in their cascode design enables them to extract more gain with less noise with a very wide bandwidth that is extremely linear. If you know much about digital audio products, you are probably aware the quality of the DAC (Digital to Analog Convertor) and the support around the DAC are of ultimate importance. For the Model 519 the best DAC from ESS Technologies is used- their Sabre 32 bit version. For years, this company has produced DACs with the lowest jitter on the market. The DAC compares the incoming signal to its own incredibly stable internal clock and the result when combined with the 32bit DAC lets you hear further into the low level details in a recording. Support for this great DAC circuitry is pretty amazing with 5 independent power supplies for just the DAC alone, then in its true dual mono design, two more for each channels output. Another pretty cool feature included with the Mark Levinson Model 519 we have seen on a few other units is the option to apply different filters to the incoming signal while still in its digital form. 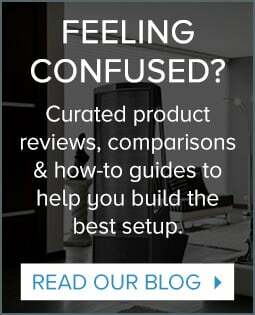 Through blind testing, the Mark Levinson team has determined people have different sensitivities as to how a digital filter effects the sound. The three options available are fun to experiment with on the fly to apply a subtle change to transients. Of course there are many parts to a great design, the circuit itself, the supporting power supplies, how the circuit boards are laid out, and finally how well the chassis isolates everything from external factors. It is here that Mark Levinson really excels. The US military industry has spawned a new level of electronic components for their super sensitive equipment. These components need to stay extremely linear under all conditions with immunity to temperature changes and magnetic fields. 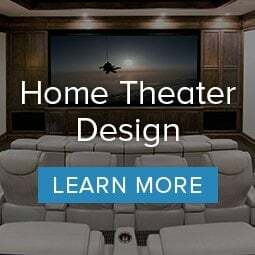 Putting military grade components in a home audio component may seem like overkill, but when you are searching for the best signal path possible, and a better component exists, you use it and the Mark Levinson Model 519 is full of military grade parts all encased in a aircraft grade extruded, machined aluminum chassis. These technologies allow your music to pass through the Mark Levinson Model 519 with such a revealing and effortless sound, you think the musicians are right in front of you. All of these wonderful design ideas do not come cheap, but boy do they result in a sonic masterpiece! You would expect a $20,000 component to deserve a great system to be tested in and we had just the ticket in our Raleigh showroom. We had recently brought in the companion power amp, the Model 534 and the Revel Salon2 speakers. The 534 is the same price as the 519, and the Salon2 is $22,000 a pair. All of these are sitting in our HRS rack and cabled up with Transparent Audio along with their power conditioning. The whole system comes in a little under $100k. Over the years we have had a lot of different set ups in our primary listening room, ranging in price from more than double this number to a bit less. As you might would imagine, our whole staff was very interested to hear how this system performed. After about a week of things breaking in and many hours of playing around with speaker placement, we finally had things dialed in. Most of the people in our company who have listened to this system think it is the best our main audio room has ever sounded. This same feeling has been echoed by some of the more frequent visitors to our showroom. The system is just magical in its ability to get you involved in the music, painting a huge soundstage in front of you. If you are lucky enough to live near our Raleigh store, we invite you in to come experience this extraordinary system. While we did change out every single component in this system and its hard to place the improvements in any one piece, we do know that if you do not have a great source, which in this case is the Model 519, you’ll never have a good outcome. We have played a ton of various kinds of music on the system and the sound is always just totally effortless, with dynamics and bass impact we’ve not had before in this room. We’ve played such a variety of different things and enjoyed every one of them so much, no one cut in particular stands out, they all do! Another thing we have observed is how well the 519 keeps the timing of the music in perfect sync. Our favorite DACs in this respect up to this point have been the big Naim gear and the Chord DAVE. The 519 keeps up with their very high bar and in some ways goes beyond. The soundstaging is another thing that will hit you immediately. The way all of the instruments float in front of you in such an effortless manner is incredible when you shut your eyes to listen. 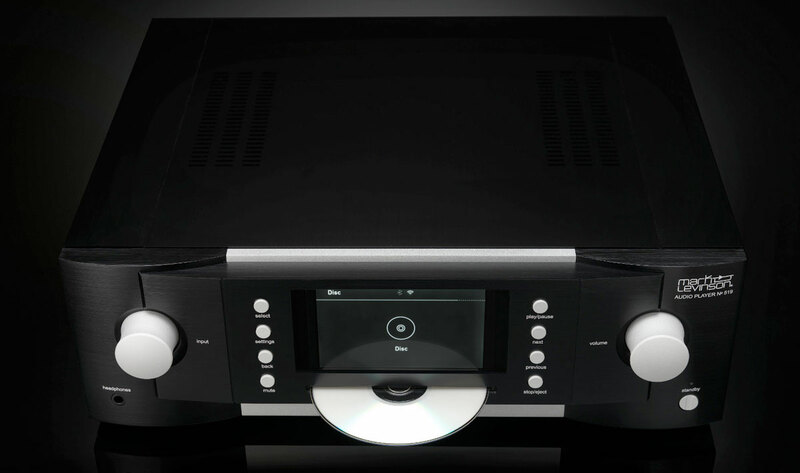 We also love that the Mark Levinson Model 519 has a CD player built in that can incorporate all of the technology of the 519. So many DACs and DAC/preamps these days leave off the CD player and a lot of us still have more than one or two of those shiny discs we enjoy using. Controlling the 519 is probably best experienced using the app. We only had one glitch using it which had a simple fix. As most new products these days have, there is an option for putting the unit into a sleep mode after inactivity. We had to turn this off to make the app work reliably, and after that it is very simple to use and worked perfectly every time. You can easily access the streaming services or music on an attached drive or network drive. Another thing we found pretty cool is the fact it will display the cover art when available on the front panel and even go out and find the art for the CD you have inserted along with all of the song names. All in all, this system with the Mark Levinson Model 519 just makes listening to music a ton of fun, and that is what it is all about! Obviously at $20,000 the Mark Levinson Model 519 will not find its way into a large number of systems. 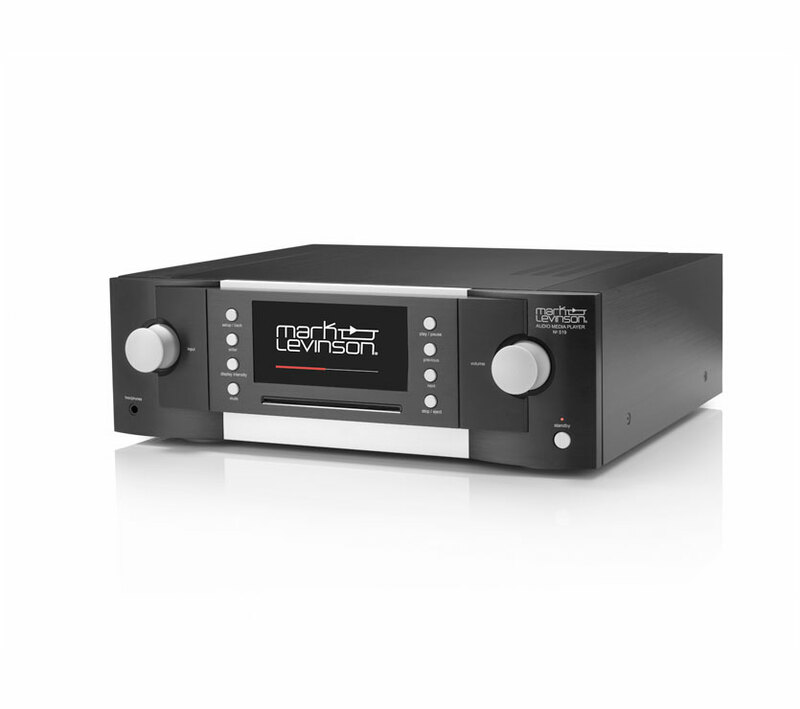 However, if you have the means, and appreciate amazing sound, with the side benefit of some of the best designed gear on the planet, we can not recommend the Mark Levinson Model 519 higher. It can serve as either an add on DAC/CD player if you have a need for analog sources, or if not, we highly recommend you let it also take over the role of preamp as well. Plus, it is just a real joy to both look at and operate! 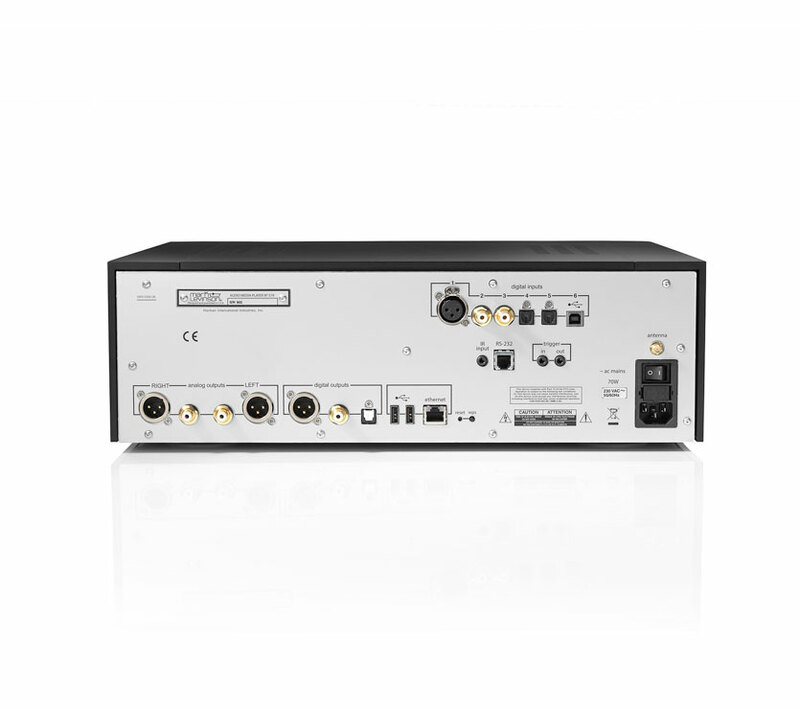 From Redbook CD, to 32-bit, 192kHz PCM, double-speed DSD for music files, to streaming services, to Bluetooth, if its a digital music format, the ML 519 will likely play it better than anything. We love the way the Mark Levinson products are built with such care and foresight. The 519 is a timeless design unlike the disposable products we encounter daily. Hand crafted in Westford, MA.